Just the mention of Bed Bugs can make a person itch. An infestation of these bugs has been on the rise over the past several years. The bugs are flat, brown, about ¼”, wingless insects with mouthparts adapted for piercing the skin and sucking blood. They have 6 legs and after having a blood meal they appear to be dark brown. It is possible to see bed bugs with the human eye, but they’re very good at hiding in the seams and crevices in box springs, sofa seams, cracks in the bed frame or head board, under chairs, couches, beds, dust covers, under rugs, edges of carpets, drawers, baseboards and window casing. You get the picture, they can hide everywhere. Most commonly they’re found on your mattress and close to where you sleep. What do I do if I have Bed Bugs? 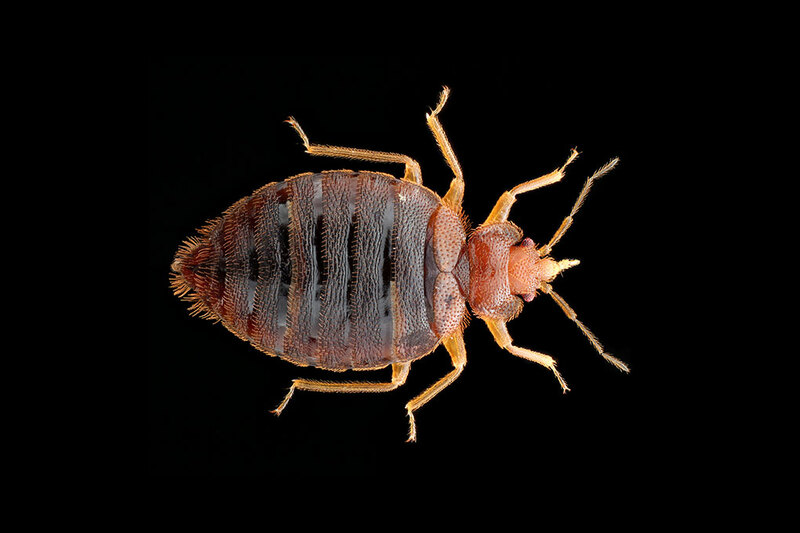 If you suspect that you have bed bugs, have a home inspection for verification. If these pests are present, the next step is preparation for a treatment. Don’t put off dealing with them! They multiply quickly. Severe infestations can take multiple treatments! If you have an issue with these little pests and want additional information, please call our office for prevention and treatment options.